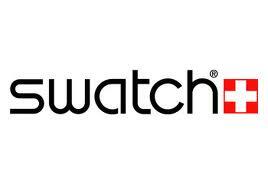 The watch company Swatch in anticipation of the upcoming spring releases a new colorful collection. These are colorful women's watches Lady Originals with long, binding the wrists of a few rings, straps. Unlike last year's collections, which were attached pastel colors, the new watches are full of bright and saturated colors. However, in the Lady Originals collection has appeared classic dark colors - for example, the whole black watch. There are also presented nine colors: red, yellow, blue, orange, green, light green, pink, purple and dark blue. The watch has three central white hands, on the dial there are located the 12 white Arabic numerals. The dial itself, a plastic case and a soft silicone strap - an appropriate color scheme. Extra-long straps will be a great bright decoration for a wrist of a woman, and certainly will enchant with their gentleness and tenderness. Inside the watch Lady Originals is installed a quartz movement. The diameter of the case from brushed opaque plastic is 25 mm. These watches will be a perfect accent color, which perfectly complement the female wardrobe. Juicy, vivid colors warm up with the memories of sunny summer. I would call it a "teenage collection"... Although it's nice we have a manufacturer at the market, creating not only "classic and elegant watches".